Want to know the best way to relieve stress at your desk? Our resident Sports and Exercise osteopath Hugo Firth has devised this special 90 second workout. 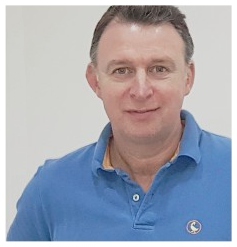 Hugo Firth brings together his life long skills of in sports together with his career as a successful Sports Osteopath. Quickly relieve tension and relax tired tissues. Do these exercises up to 6 times a day. Why not book bookmark this page and refer to it daily? In the mean time here are some tip for general well being. Take a short break out of your chair every 60 mins or so. You may even wish to drink more water to prompt you to get up more often. Choose a variety of exercises throughout the week to help you keep fit. Try and avoid repetitive exercises, such as constant exposure to running, cycling or the same gym exercises. Postural variety is what keeps you going. Avoid any prolonged activity, such as long periods of sitting, driving, or standing. Its hard to break this up if it is what you do for a living, but during your most stressful times, try and find a way around it. Early nights help boost healing. So why not try a week of early night (just once, as a one-off) and we are sure you will be so impressed you will want to do that again. Try and avoid soft deep chairs and settees. Contrary to popular belief soft squidgy chairs, beds and settees can be a source of hidden danger to the spine. If you are going through a bad time, try lying on your side or back to watch TV (or read), either on the settee or on the floor. “My approach to healthcare is a balance between osteopathy and patient empowerment through effective therapeutic exercises. I recognise it’s not always possible to come in for a treatment, and many conditions can be helped with the right exercise if used early enough. After all prevention is much less painful than cure“.